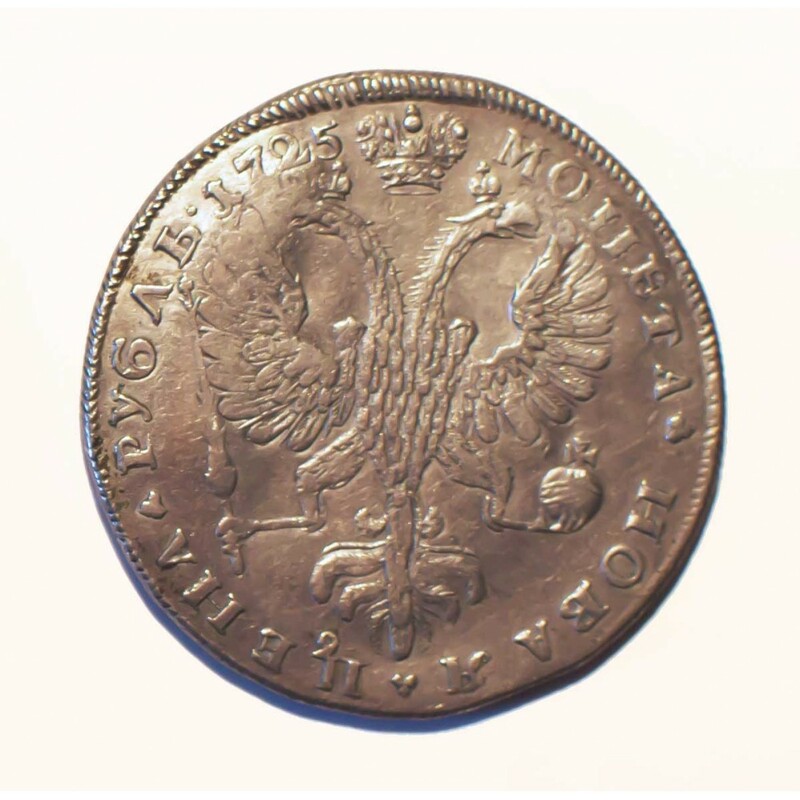 Reverse: Large crown above crowned double-headed Russian eagle holding imperial staff and orb. Obverse: Crowned and draped bust of Catherine I left. 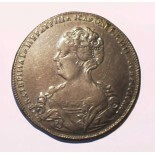 Mint initials (C.П.Б.) below. Legend: "Catherine I Empress and Sole-Ruler of all Russia"
Circular inscription: Cathrine I the Great Empress of Russia. 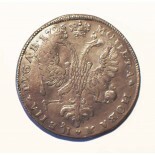 St. Petersburg mint 1725.